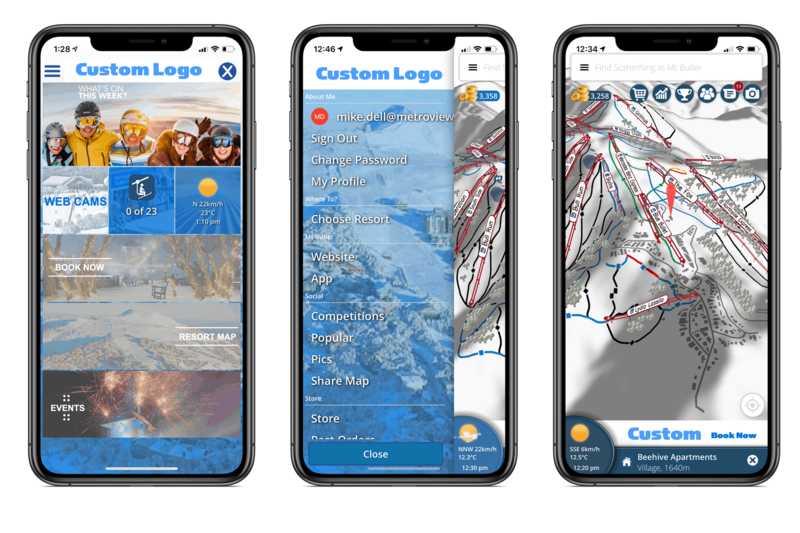 Brand the SnowZat app or create a custom app. Create a custom app covering mutliple resorts. Brand a SnowZat resort map within the exisitng SnowZat app. Integrate with ticketing and booking systems.